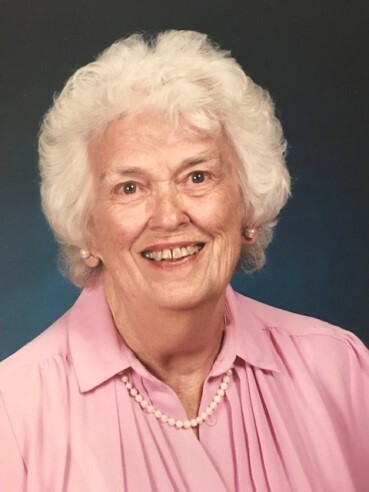 Betty Jane (Cooper) Babcock, a longtime resident of Marshfield passed away on Thursday, March 14. BJ was predeceased by her husband, Alfred (Fred) Babcock. She is survived by her 3 daughters, Nancy Biller and her husband, Russ of Cheektowaga, NY, Betsy Babcock and her husband, Dan Cavicchio of Landaff, NH and Patricia Gilmore and her husband, Dan of Marshfield, MA She is also survived by her 3 grandchildren, Ryan and Emily Murray of Marshfield and Matthew Cavicchio of Salem, MA. BJ worked for Kodak before becoming a mother. The family moved to Marshfield when Fred was transferred in the mid 1960’s. Shortly thereafter, BJ worked for the Marshfield Hills Post Office where she worked until her retirement. She loved sharing in the lives of the many people with whom she came in contact. BJ was a wonderful listener, a great friend and mentor. She volunteered for the Marshfield Food Pantry, Clift Rodgers Library, North River Arts, the Daniel Webster House, voting polls and others. She was an active member of North Community Church, Community League, Community League Quilters, Seaside Gardeners, Marshfield Historical Society, Daniel Webster House, and MA Audubon Society. An avid reader, BJ thoroughly enjoyed a wide variety of genres. She loved the Clift Rodgers Library and when reading became a challenge, BJ was able to continue to enjoy “reading” thanks to the audio books provided by Perkins School for the Blind. BJ will be deeply missed by her family and many friends. In lieu of flowers, donations may be made to Clift Rodgers Library, 540 Pleasant Street, Marshfield Hills 02051, Marshfield Food Pantry, 1981 Ocean Street, Marshfield 02050 (Marshfieldfoodpantry.org) or Perkins School for the Blind, 175 North Beacon Street, Watertown 02472 (Perkins.org). Celebration of her Life will be held at North Community Church, 72 Old Main Street, Marshfield Hills on Saturday, March 23rd at 11:00 AM.